Strict entry rules mean some fishermen have been biding their time – in some cases for more than a decade. While legislators propose changes, lobstermen urge caution. 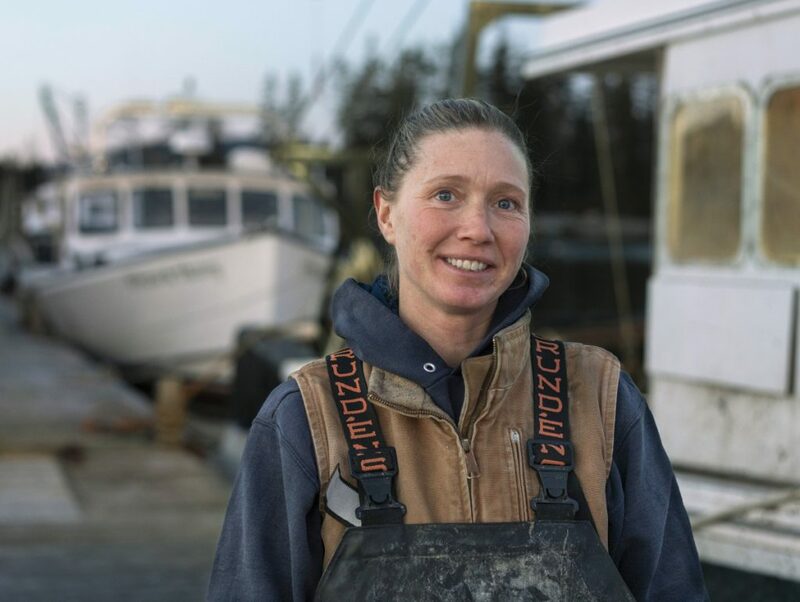 Holly Masterson got her start in the lobster industry when she was 15, when her stepfather, David Horner, hired her to stock and clean up his boat at night. Horner taught her how to lobster, fish for shrimp and scallops, and drag for haddock, monkfish and cod. When he lost his sternman, Masterson filled in. The Southwest Harbor resident hadn’t planned to become a fisherman, just help out her family, but she got hooked. At 24, Masterson entered the lobster apprenticeship program. In July 2008, after completing the program, Masterson was added to a list of area fishermen waiting for a state lobster license. 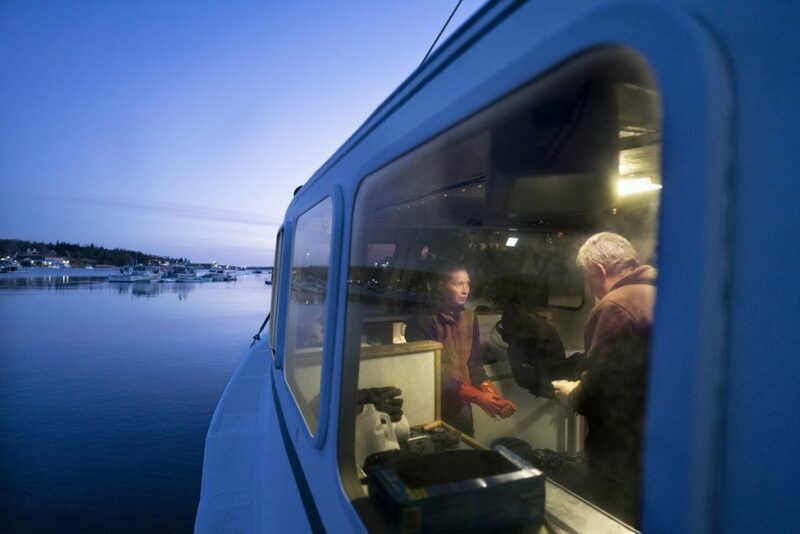 Holly Masterson takes the stern line from her stepfather and longtime business partner, David Horner, a lobsterman who’s also chairman of the local lobster zone council. He’s cautious about speeding up the licensing process because he says the fishery is already too crowded. Ten years later, after almost a quarter century in the business, the 38-year-old Masterson is still waiting. She still works for Horner, even though he and her mom are no longer together. She got her real estate license, and rents out a handful of vacation properties she has bought up over the years. But that’s just a side gig. She still dreams of getting that license, and the freedom that comes with being her own boss. Some state lawmakers want to help people like Masterson who have been languishing on the apprentice waitlist for years. Rep. Jay McCreight, D-Harpswell, has proposed a bill that would give licenses to anyone who has been on the list for a decade or more. Based on state records, 55 of the 248 people currently sitting on one of the seven regional waitlists would fall into that category. Eight have been waiting on a license for 13 years. In Maine, lobster fishing policy starts at the harbor level. The state’s $434 million fishery is divided into seven geographic zones governed by zone councils made up of state-licensed lobstermen. With approval from the Maine Department of Marine Resources, councils set limits on the number of traps, establish fishing times and days, and, since 1999, set entry rates to control the size of the state lobster fleet, which numbers about 4,500 people. Most fishing zones were closed to newcomers almost 20 years ago in an effort to prevent overfishing and the turf wars that can happen when a fishery grows too large, too fast. The last open lobster zone closed in 2016. In a closed fishery, would-be lobstermen who finish a state apprenticeship program go on the zone waiting list, where they must wait for a certain number of fishermen to give up their licenses, or their trap tags, before they can start fishing. Holly Masterson, 38, of Southwest Harbor, works aboard the fishing vessel Luke and Grace in Tremont last week. In most zones, that means long waits before the apprentice can start hauling his or her own traps. But students who complete their apprenticeship before they turn 20, or 23 if they are in college, can bypass the list altogether. At the urging of fishermen, this exemption was created to give the local children in coastal communities, especially Maine’s many small islands, an easy pathway into the fishery, which in some far-flung harbors is the only work to be found. That exemption rubs apprentices like Masterson the wrong way. It implies that wait-listed apprentices are out-of-town opportunists who decided to lobster on some kind of whim after moving up from Massachusetts or reading about the fishery’s recent boom, or screw-ups that missed the student deadline or returned to lobster after failing at some other life pursuit. Many have deep ties to the region and the fishery, Masterson said. McCreight, the new co-chairwoman of the legislative committee that oversees lobster policy, wants to help what she considers a lost generation of Maine lobstermen – those sterning on boats along the state’s 3,500-mile coastline who can’t gain full entry into the state’s most lucrative fishery because they didn’t have their life plan mapped out in high school. The former social worker says those late bloomers shouldn’t be effectively locked out of the fishery. The stories of wait-listers who have testified before the Marine Resources Committee have moved McCreight. She recalls stories of 19-year waits, veterans who lost their lobstering licenses while serving overseas in the military and must now wait years to get another one, and wait-listers who became fathers whose sons will get their lobster licenses before their dads. In 2016, Seth Morrissette, a Boothbay sternman, begged the committee for help. He had once held a lobster license, but gave it up when he went to school. Holly Masterson, left, and her stepfather, David Horner, weigh their scallop catch aboard the fishing vessel Luke and Grace in Tremont last week. She hadn’t planned on becoming a lobsterman, but she got hooked. Unfortunately, her 10-year wait for a license goes on. “I was too young to realize what I wanted to do,” Morrissette said. He joined the Zone D waitlist in 2014. Thirty lobstermen are in front of him. Based on local rules, which say that five lobstermen must leave the fishery before a new one can join, 150 local fishermen will have to retire or die before he can join. He testified with his 3-year-old son, Levi, by his side. “Shouldn’t I be the one to teach him how to fish?” Morrissette asked. McCreight knows her bill will not sit well with some already licensed fishermen. Lobsterman Steve Taylor of Kittery, the chairman of Maine’s southernmost lobster zone council, said his area could probably absorb the 18 apprentices who would be eligible for a license in 2019 under McCreight’s plan if they were evenly distributed throughout the zone, which runs from Kittery up to Cape Elizabeth. He won’t weigh in on the bill until he sees it, but if the newcomers were to settle in one or two harbors, all hell would break loose, Taylor said. Horner, Masterson’s longtime business partner and former stepfather, advocates for a measured approach. As chairman of the local lobster zone council, Horner has voted to ease local entry requirements facing wait-listers, but does not want to speed it up too much. He thinks the fishery is already too crowded, especially with fishermen from neighboring fishing zones able to fish up to half their 800 traps in local waters. He doesn’t want to risk overfishing a stock that Maine lobstermen have worked hard to protect. The issue of apprentice waits has come up before. In 2012, Maine hired the Gulf of Maine Research Institute to study the lobster license system to weigh whether the conservation benefits of restricting entry to the fishery outweighed the employment barriers. It concluded that setting entry barriers had more to do with controlling who gets the privilege to fish, not protecting the stock, as the number of traps had increased even as the number of licenseholders decreased. GMRI recommended the state adopt a tiered licensing system, where fishermen could join low-trap tiers sooner but have to wait longer to gain access to high-trap tiers. It urged the state to allow zone councils to relax entry-to-exit ratios and to change the way they calculate the number of traps retired when a lobsterman gives up his license. Fishermen opposed the recommendations. The only changes the state has made to the system in recent years have been to give students more time to finish their apprenticeship requirements, which would keep young apprentices off the waitlist, and yank licensed lobstermen seeking to transfer from one zone to another off the apprentice lists. Rep. William Tuell, R-East Machias, said he is torn over what to do about the waitlist. The Marine Resources Committee member said he has friends and family that are hurt by the long waits, but others who did their time on the waitlist and worry that essentially opening the gates now would trigger trap wars, make an already tight bait market worse and could make it even more likely that federal regulators tasked with protecting right whales would put harsh restrictions on the industry. To help spread the word and get a sense of the industry’s mood, Tuell launched an online Facebook poll to test support for a 10-year cap on lobster license waits. The poll ended up 53-47 percent in favor of McCreight’s bill, with 949 total votes cast before Tuell closed the poll. The posts, which were shared among online state lobstering groups, generated hundreds of comments. The committee has not yet scheduled a public hearing on McCreight’s bill, L.D. 28. A decadelong wait is not unusual for the zones with the oldest lists. In midcoast’s zone D, which ranges from Pemaquid east to Cape Rosier, 42 apprentices wait for a license, with the longest wait belonging to David Harmon of Charleston, who was listed in May 2007. Fourteen people in the zone would benefit from McCreight’s 10-year license bill, including Vernon Kvorjak of South Thomaston, who missed his student deadline by mere months as a teen. Kvorjak started fishing when he was in middle school after his mother married a lobsterman. At the time, neither realized he would need to log his workdays and hours before turning 18 to get a student license. They started documenting everything as soon as they learned of the requirements, but didn’t have enough logged time in to complete the program until he was a few months past 18. He went on the waitlist in September 2008, with 46 people in front of him. Classmates in Rockland who had known enough to get student lobster licenses fished straight out of high school, but Kvorjak couldn’t, so he enrolled at Maine Maritime Academy. He is now the chief engineer of a 130-foot tug that pushes oil-laden barges off the coast of New Orleans. 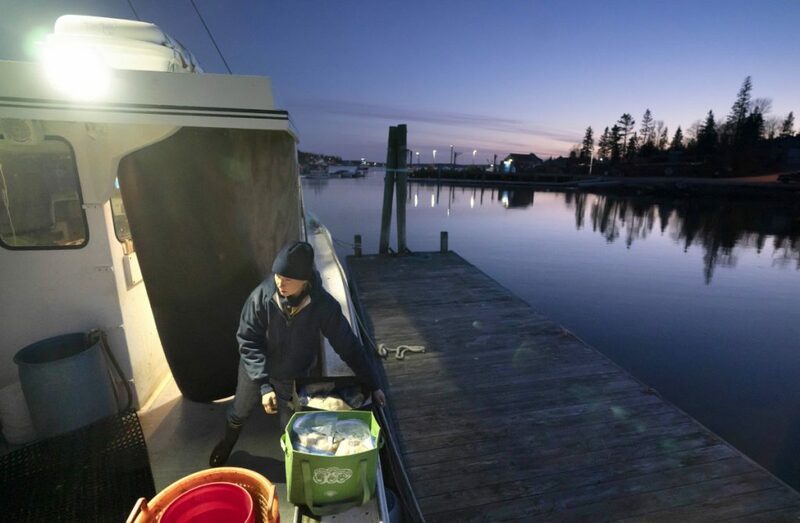 The 30-year-old is earning six figures now, but is willing to give that up to return to Maine, his family and a start in the fishery when his number comes up. He is currently No. 8. Kvorjak understands the overcrowding concerns. Some state waters have too many fishermen fighting over the same area of lobster-rich bottom, he said. But that adult apprentice who waits a decade to fish is no more threatening than the student-turned-commercial lobsterman who can enter even the most crowded zone at will, Kvorjak said. In 2018, four wait-listers in Kvorjak’s zone got licenses. All waited at least a decade. Five students got in with no wait the year before.